CreatiVentures publishing is a publishing, marketing, and distribution company that offers first-time, self-published, independent authors, the opportunity and tools needed to compete in the industry. Francis Xavier is man on mission. He is complex individual with sharply contrasting traits of character. He could spend hours together on the beach praying alone in the stillness of the night and he also moved restlessly from place to place. He shed tears of devotion at Mass and was raised above the ground. He also advocated the introduction of the infamous inquisition in India as a remedy against the loose morals of the Portuguese. He was deeply attached to some of his companions and also was harsh to others. He went about in the Fishery Coast in a patched, tattered cassock and in Japan he dressed up in silk and satin. He loved passionately the Society of Jesus and at the same time he advocated placing it under the control of civil authorities. 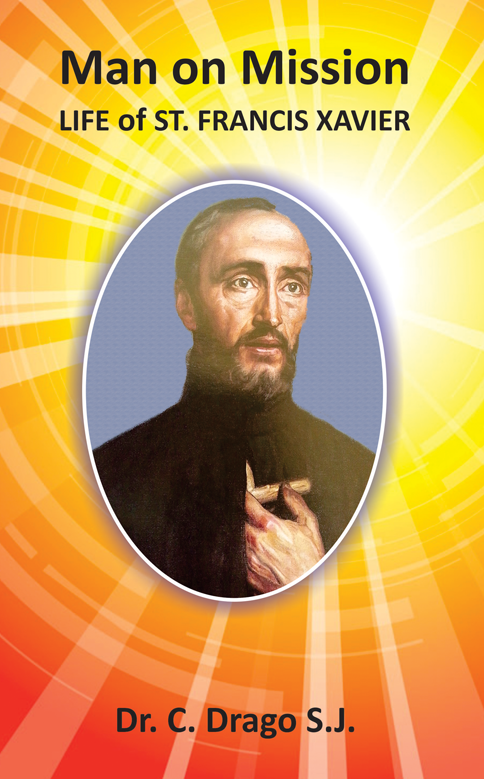 Francis Xavier was an extremely rich personality, but very human saint who retained some of the features of his Basque character till the very end. The appreciation of the saint should be based on the totality of his person with lights and shadows of his prodigious personality. "There was tremendous sense of oneness, not only between Maharaj and myself, but a oneness with the whole existence, with Totality. There was a tremendous sense of oneness which, quite frankly, made words seem so unnecessary. That's why there was certain amount of impatience to get done with the talk. Words seemed so unnecessary. It is there! At the same time, I had the reluctant wish that someone else was translating. For then I wouldn't have needed to do the translations, and I could have been exclusively in the experience, without doing a job at the same time." "I was filled and overcome by the feeling of a very intense or dense presence. Along with that presence, the deepest possible intuitive knowing came into existence that there is nothing but That. At the same time, it was known that all phenomena, all things perceived, are just an illusion, and nothing other than That. I don't know what happened, or how the occurrence came about, or what this presence was. I don't even want to know. And I don't care. It was so simple and natural. There was no exalted feeling of ecstasy or joy. There were no tears, no thunder and lightning; there was just awareness and certitude, and the feeling of peace and love." "It was the moment in which the disciple came to the Master without any expectation or imagination. The mind was totally empty, and the heart was full of love. In this moment it happened that the Satguru showered his love on the disciple. And that was the extinction of the last minute tinge, the unveriling was complete. "How can I tell if I'm making progress in my spiritual search?" "Can I speed it up at all, and if so - how?" Answers to these and other crucial recurrent questions can be found in this book. But be warned: these answers are uncompromising and may shatter your miscon-ceptions. Ramesh S. Balsekar - life-long devotee of Ramana Maharshi, and disciple of Nisargadatta Maharaj - has been sharing his wisdom with seekers from all walks of life, for the past 20 years. Gently but insistently, he points to the fact that there is nothing anyone can do to hasten his or her spiritual progress, because the individual seeker, the "me"-entity, just does not exist. The outcome of our spiritual search is not in our hands. Rather, it is in the hands of that power - call it Consciousness or God - which turned us into seekers in the first place. All manifestation is a reflection of that same impersonal Consciousness, and it is That which is seeking and which does or does not become enlightened, according to Its own ineluctable functioning. 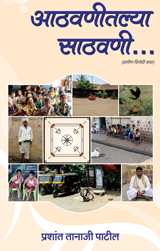 Madhukar Thompson recorded, transcribed and edited all conversations featured in this book. Brimming with earnestness and authenticity, they stand as a vivid testimony to the modern-day seeker and provide invaluable insights into his/her predicament. 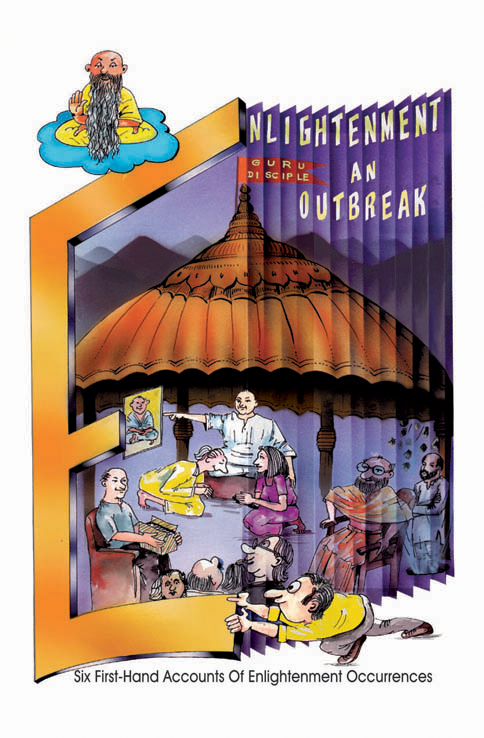 The text is illustrated with a series of cartoons which underscore key aspects of Sri Balsekar's teaching. They ensure that the book, and the seeking itself, are lively experiences, full of enjoyment and liberally sprinkled with laughter. 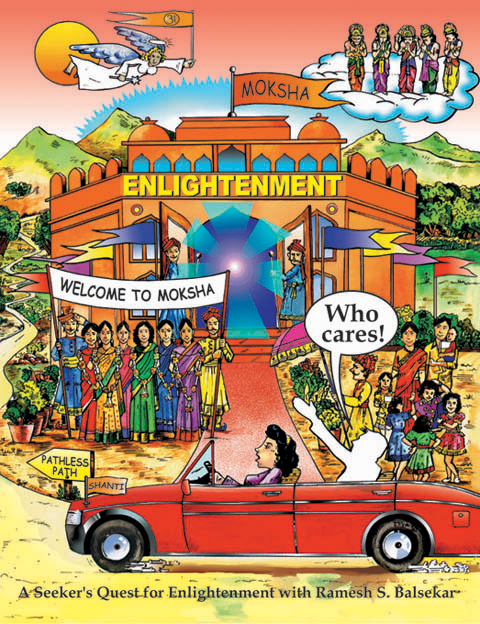 "I no longer care if I get enlightened or not. In fact, I don't care even if I do care!" Such is the seeker's attitude just prior to the occurrence of enlightenment, according to Ramesh S. Balsekar - a life-long devotee of Ramana Maharshi and disciple of Nisargadatta Maharaj. 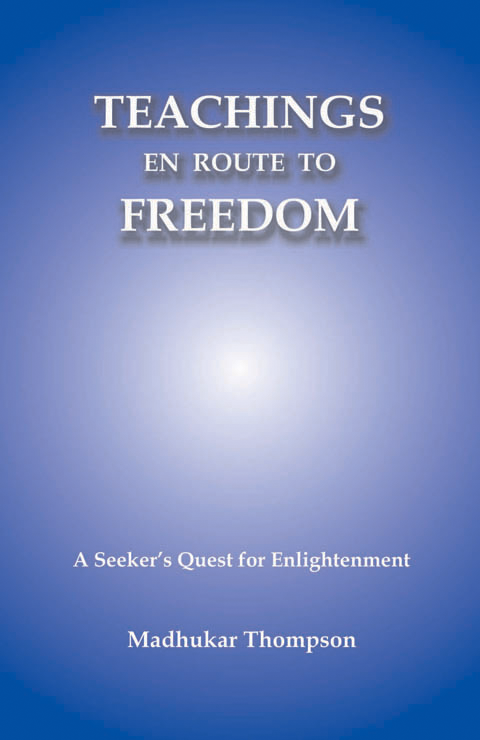 This book - the sequel to Enlightenment May or May not Happen - deals with a wide range of topics including karma, reincarnation, the nature of manifestation, the guru-disciple relationship and the contrast between enlightened and unenlightened experience. 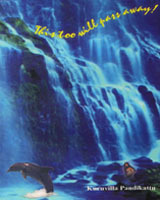 The central theme, however, is the spiritual search and what can or cannot be done to speed up its progress. 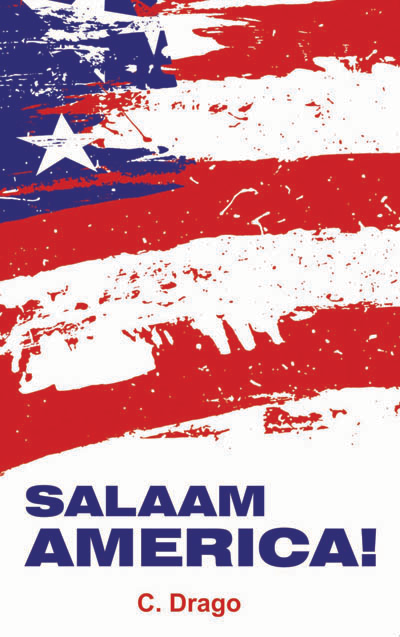 All conversations featured in this book were recorded, transcribed and edited by Madhukar Thompson.
. 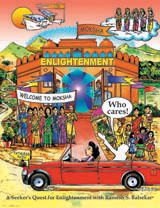 The text is illustrated by a series of cartoons which serve to remind us that even the serious business of spirituality has its funny side, and which ensure that the book, and the seeking itself, are lively experiences, full of enjoyment and liberally sprinkled with laughter. 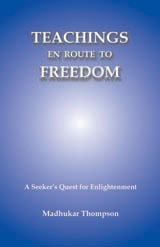 This book encapsulates the Advaita Vedanta teachings of Ramesh S. Balsekar. The first part - Gentle Hammer - features a series of aphorisms, each of which sums up one element of his teaching. Once the seeker's ego has been weakened by this gentle but persistent hammering, the Friendly Sword is ready to finish the job. This second part consists of Ramesh's answers to 24 key questions about the spiritual search. 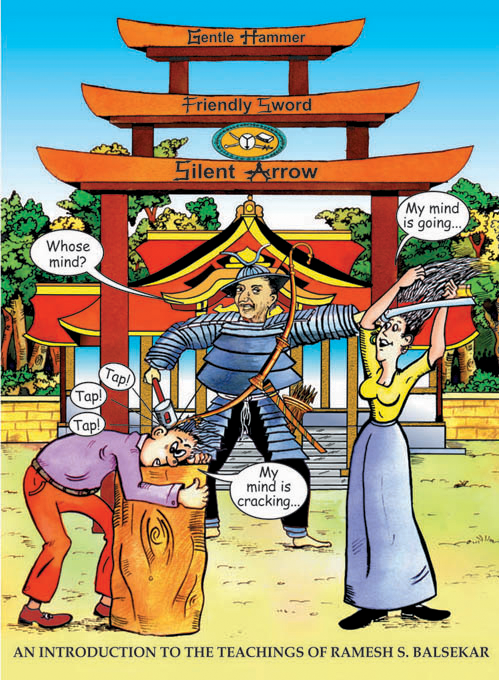 The third part- Silent Arrow- is a reprint of an article that Ramesh contributed to The Mountain Path, a biannual magazine published by the Sri Ramanashram. 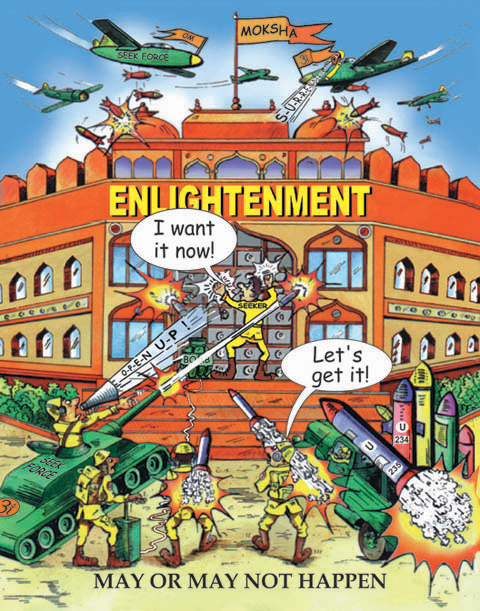 In this article, Ramesh manages to condense his entire teaching into a few pages. It is written with such precision and profound insight that, while reading it, the reader is led to experience silence - the highest form of teaching. The pithy aphorisms, the brevity of the question-and-answer extracts and the zen-like clarity of the article make this book an ideal introduction to Ramesh's teaching. Throughout history, India has produced an extraordinary range of religious traditions and, even today, innumerable spiritual teachers can be found there. This book documents Madhukar Thompson�s encounters with a wide range of gurus whom he sought out in his quest for enlightenment. It presents a compilation of remarkably diverse spiritual teachings as expressed in conversations which he had with them over a period of 16 years. What is really the significance of dialogue between science and religion in India today? How can it foster better cooperation and sustainable life among human communities? What is the relevance of science-religion dialogues in our context? These are some of the questions this book takes up and deliberates. Assuming that dialogue between science and religion is no more an option but an obligation. 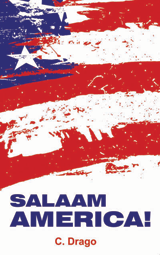 This book takes us this venture critically and creatively. 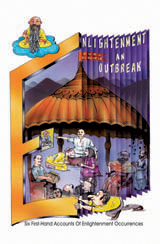 First it explores the challenges of and opportunities for science-religion dialogue from Indian perspectives. Then it explores human nature as something ever approachable. Finally, it explores the ever-elusive nature of human (and divine) nature as never attainable. 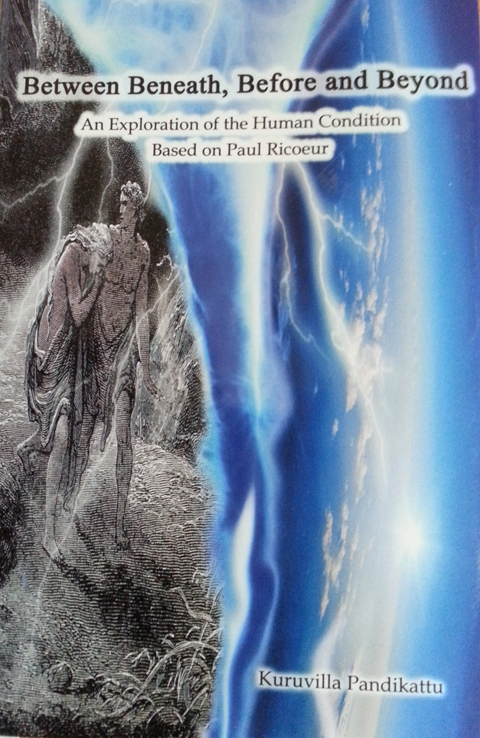 This title of the book, thus, indicates the ever fascinating and elusive nature of the world, human beings, and God. WThe biggest lie you ever heard about money is, Money is not important in life. Whether you love it or hate it, you simply cannot live without it. Just like every product you buy, shouldn't money also have an instructions manual? Discover the ultimate secrets of money because when you pay attention to money it starts growing. 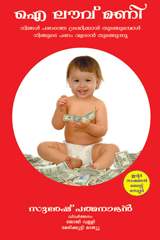 What this book gives you: A clear money blue print for you, your family or your organization The exact process of how money comes and goes out of your life Methods to remedy actions that drain money Powerful rituals that can transform your money world. Tips on how to attract money, how to recover blocked money, receiving and giving, spending and saving, money and hard-work, the power of saying NO and powerful methods to catapult you to great success. All these techniques are tried and tested through the Money Workshop being held successfully worldwide since the last ten years with over 40,000 participants. You are not holding this book by mistake or by chance. Carry it home and make it a life long companion. You are holding a very powerful future in your hands. Cosmic love evolves as a balancing act of yin and yang, gaining access to Bliss (anand) through our soul (atma). Unless each individual ignites the bright light (atma) within, it is hard to attain Bliss. Love is all pervading in the cosmos, yet most of us live a loveless life. 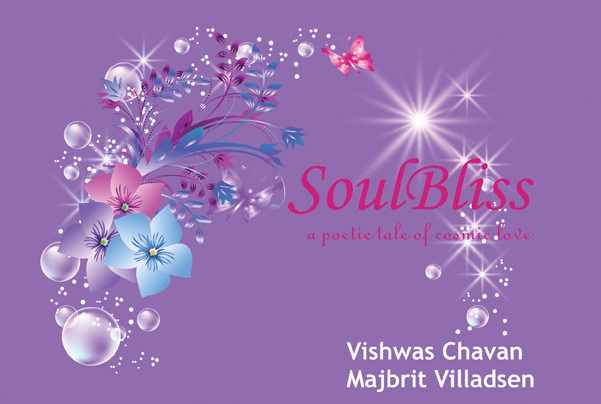 SoulBliss, a poetic tale of cosmic love initiates each reader to experience and share the power of cosmic love. Through this poetic tale of love the authors shares with the reader, how to synergize the male-female energies to consciously experience love in its depth and totality, reaching to a cosmic celebration of love. ...Enlightenment is the journey; not the seeking. It is not about becoming; but simply being. - Excerpts from the book. 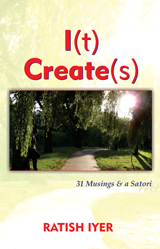 I(t) Create(s) combines two statements: I create. It creates. Creation comes from creativity and creativity comes from freedom. Freedom is the greatest tool for ultimate expression and the greatest expression is that of ultimate freedom. Freedom has two aspects: freedom of self and freedom from self. In the state of freedom of self, you understand creativity. Using your powers of manifestation, you create and express something unique; something original (I create). In the state of freedom from self, from the vantage point of enlightened perspective; you understand creation itself and That which is the very source of all creation including yourself (It creates). The wave (I) descends to its source and is no more a wave... but the ocean It-self!. What is death? What is it a necessary part of life? What can we expect from death? What can we really hope for? Drawing from recent scientific theories (cryonics, transhumanism, etc.) and religious wisdom (Hinduism, Buddhism and Christianity), this book invites us to look into this paradox of human life and stay attentive to the process of living. 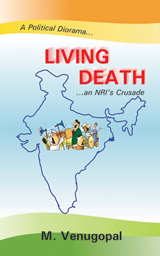 The twelve chapters of this book invite us to focus on death, so that we can relish life. Without ignoring the agony of death, we look at it tenderly and directly, not to dwell on death but in fact to focus on the process of living. This book affirms that if we live gratefully and authentically we can surrender ourselves to life and beyond gracefully. Today is a very special day for us at school. We are excited about the annual camping trip. There are rumors that Mr. Manish, our class teacher, is going to break that exciting news anytime from now by putting up a notice on the common notice board. When Mr. Manish displayed the notice, everyone s excitement vanished in the thin air as they quickly glanced at the place name, Rajgir a dark and dense forest which is an unexplored place in Bihar. The students along with their teachers set on the camping trip. As they reached Rajgir, they began to realize the depth of mysteries which were buried in the depth of dense forest beyond their grasp. 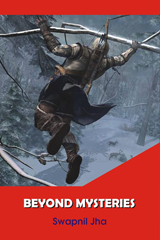 This fiction will unravel the fact that entering into terrains of mysteries can challenge and bring life to a stake at times. Set in the business fertile land of Gujarat, this is a story of a village lad who dared to dream bigger than life to become an Engineer. Very soon does he realize that the education which was supposed to give wings to his dreams was at the best clipping it! 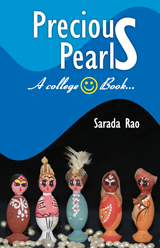 A lovely college story making you nostalgic about your own bygone good college days. 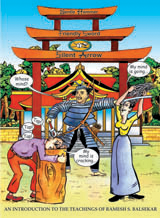 This is another roller coaster of fun, romance, adventure, and of action. A plot that will want you to relive the grandeur of WestLand with its Precious Pearls again and again. Are you an Indian living in India or elsewhere? Do you love your country? How much do you love? How do you measure it? Do you think holding Indian flag in the midst of several spectators in the stadiums or expressing emotions and passions in media on politics, society, culture, administration, judiciary, religion, are symbols of patriotism? Leaving an affluent life in London, the richest, successful NRI Mr. Raghuveer, arrives into the city of Hyderabad to settle down for the rest of his life. He knew very well that the entire country is sailing with political motives, slinging in the mud with corruption, hypocrisy, nepotism, bureaucracy, perceptions , no convictions and wisdom. Story narrates on how one man surmounts day to day events, encounters with various ministers and bureaucrats, to fight for the basic needs of the common man. He becomes a symbol of true patriotism. He evokes hidden power in the common man, through his deeds, actions, convictions and brings noticeable changes in the society, his achievements are remarkable. 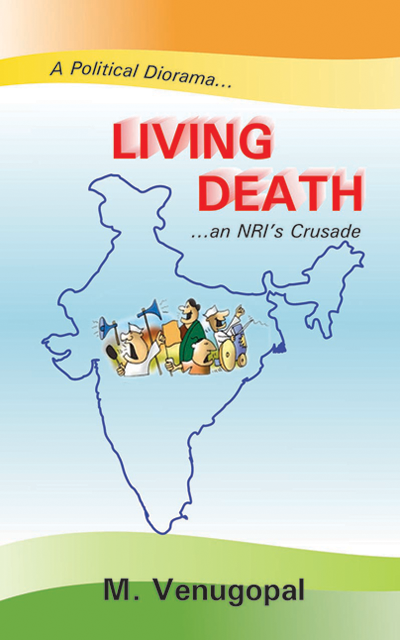 'LIVING DEATH' is the nightmare to the unscrupulous politicians and an eye-opener to the innocent voters. Everything new that is created is something that has emerged out from the deepest and densest ocean of pre-contemplated thoughts in the heart. The heart abstracts its new creation from the ocean and asks the aid of the brain. The brain interprets the hearty language and translates it into human coherent language, using the archived words in its files and in a way gives rise to something new and something innovative. People initially say that a writer has a creative mind, but I say no, a writer has a demiurgic heart. And so creation is literally the intimate voice of our hearts. And the same is here. Inner Zeal has each line, each word that has been abstracted from my heart. The contents of it cover up almost every minutest feeling that a human heart summons - Jealousy, faith, fear, attachment, grief, etc. Every word is a deep and serene call of my heart to the brain to carve out its thoughtful thump into not any argot but into simple and vast English language. With this book my brain has got a canvas to paint up the words received from my heart. INNER ZEAL is the voice of my heart. Unless we are able to increase the global oil supply, we face a bleak future of depleting reserves and high energy prices. Since conventional oil reserves are dwindling, we have no alternative but to increasingly rely on unconventional oil, and for political, economic, and environmental reasons, the Canadian oil sands offer the very best unconventional oil we can get. Never before has a book offered an insider s view of this controversial industry. 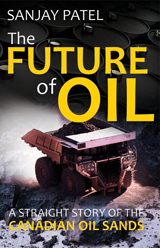 The Future of Oil objectively considers economic necessity and the nature of current technological limitations to arrive at a series of connected and inescapable conclusions. The transition to an age of cleaner energy production is necessary and inevitable, but we cannot yet live without oil. Oil must have a future, or we do not have one, and the oil sands of Canada are the centrepiece of that future. 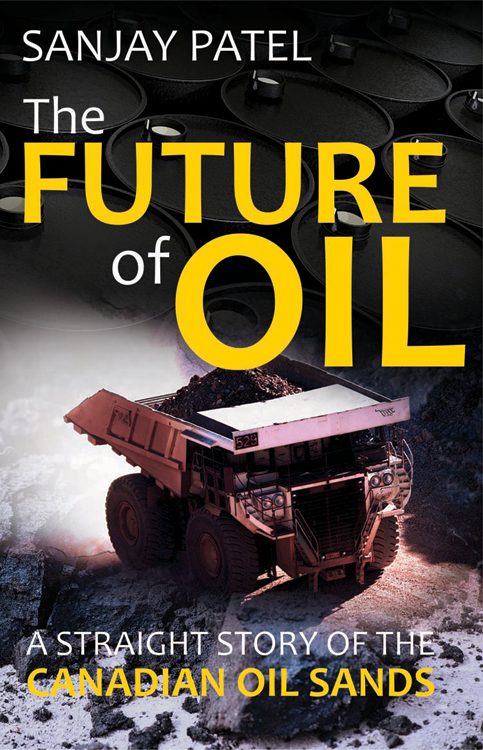 The Future of Oil is a clear, concise, yet complete guide to the Canadian oil sands industry, covering history, the environment, technology, and ethics. It addresses all the main objections to oil sands development that have been posed by journalists, environmentalists, First Nations leaders, and others. The author does not sugarcoat the hard facts, but objectively presents the arguments of oil sands critics and proponents alike. As a result, readers should have a much deeper understanding of all the issues involved, and be able to form their own opinions. The straight-spoken, journalistic style of The Future of Oil will appeal both to a general readership and those working in the oil sands industry, serving as a valuable resource by providing the big picture. Most of all, it offers, for the first time, an insider s view of a crucial energy debate that will be with us for some time to come. Gratitude is an attitude of the Grateful Heart. Gratefulness starts with you. The greatest gift you can give yourself is the gift of a Grateful Heart. Living with a Grateful Heart and sharing your gratitude with others multiplies the effects. 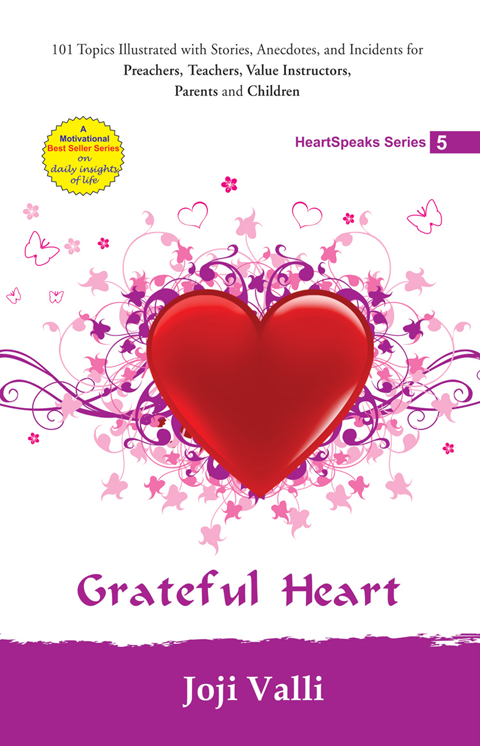 This book helps you to cultivate a Grateful Heart. It generates in you a feeling of gratitude which enhances the desire to give not out of obligation but because you are overflowing with a Grateful Heart for all the encouragements, love and inspiration that you have been receiving from others. The moment you start overflowing with gratitude, your heart is transformed to an Inspiring Heart... Heart is the center of everything and source of all goodness. 101 carefully selected topics illustrate the multi-faceted human life in a day to day basis. Each of these topics conveys the awareness which is forgotten in the routine of a busy life. Grateful Heart imparts the wisdom of the ages from various religious traditions and backgrounds, and is the fifth of a series of books on Personal Power, Spiritual Awareness and Human Values. HeartBeats is an ideal present for a person of any age, who searches happiness and contentment amidst the modernization and development. We often hear about KamaSutras, but never about VishwaSutras! Successful living in today's world requires following certain principles (sutras), which are universal and can be adapted by anyone. 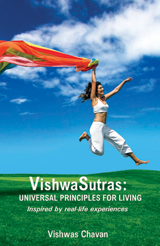 'VishwaSutras', is a collection of principles for successful living. These sutras were experienced by a now a Science Diplomat, who was born as a slum-boy. In the beginning, he happened to stumble upon these sutras unknowingly which transformed his life. Later, he took conscious decision to adopt them which are helping him to climb the ladder of success. 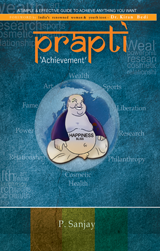 In our quest for successful life, positive aspirations and experiences can be self-enriching. Even a mere realization of 'who are we and our purpose in life?' can bring enormous sense of freedom, and unbeatable energy and enthusiasm to achieve it. 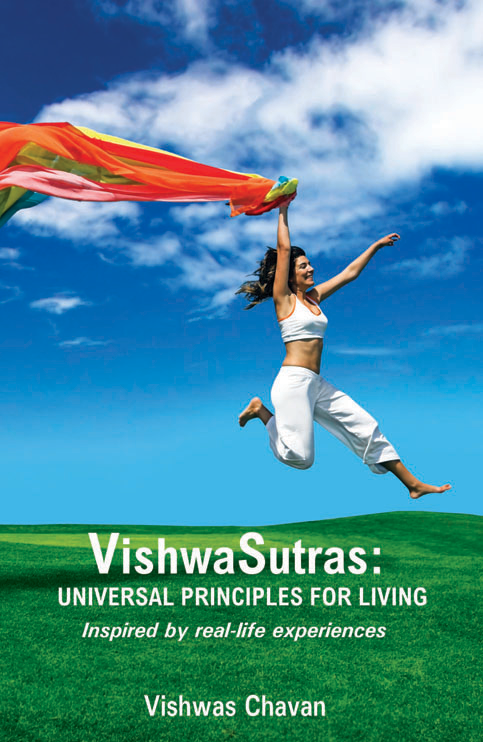 VishwaSutras will unfold ways of achieving your dreams. 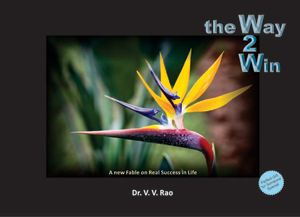 VishwaSutras aims to give you support, inspiration and strategies to make your life a reflection of the authentic you. 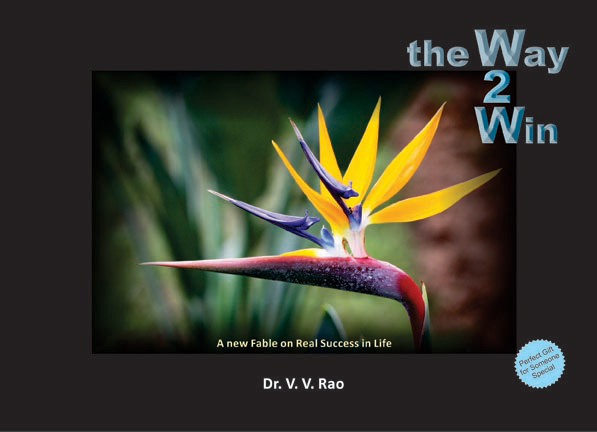 To help you define success on your own terms. To make sure you are moving forward manifesting the big dreams and loving every minute of it. To celebrate life authentically and inspire others who dream success and happy living. In America, the young passionately loved wealth, honor and power. Money is power for Richie. Martial arts are the only goal of life for Rambo. Floating in her dream world, Roma thought only of romance. The American dream ruled over everyone, until one day a strange thing happened. Chinmay, an Indian student dared to challenge them all. The solid walls of pragmatism and empiricism stood firmly against him. As an outsider was he banging his head against a wall? He was not broken down, but had to heal his deep wounds through constant forgiveness and agapeic love. How did he win the war? INSIGHTS - Vol.1 was enthusiastically welcomed by the public. Many found the simple reflections relevant to their day to day lives, whereas the short stories kept the reading pleasant. 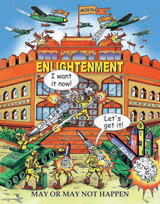 The demand for a second volume of INSIGHTS was spontaneous yet compulsive. How many times in your own life have you completely missed the opportunity of becoming one with Nature's beauty because you were preoccupied with fears from the past or for the future? From the sprawling oak to the soaring eagle, nature provides shelter, solace, and inspiration. We are instinctively awed by Nature's grandeur and beauty for we can feel the majesty of the creative force just behind the vista of Nature. Nature has a way of slowing me down - sooth-ing and quieting my mind. I try to spend as much time outdoors as I possibly can. While being outdoors with nature, I feel the richness of inner growth. In its most profound sense, beauty engenders a salient experience of positive reflection about the meaning of one's own existence. 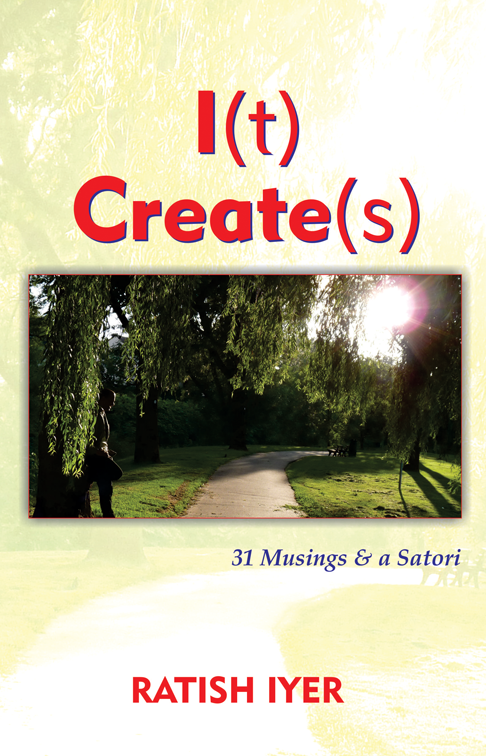 Through this collection of photographs captured by my lens and gelled with inspiring quotes from various authors and my own insights, I attempt to give expression to my great sense of gratitude for what Nature gives us and for being in a continuous journey of discovery of the divinity within and without. 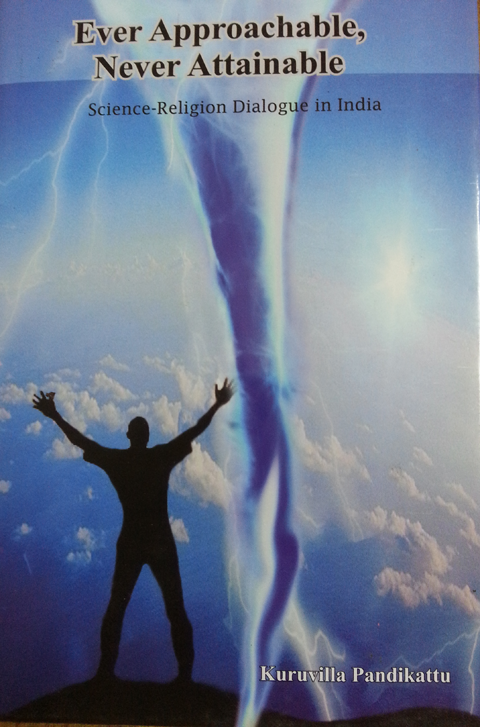 I hope that the pictures and quotes in this book invigorate, inspire and motivate the reader. 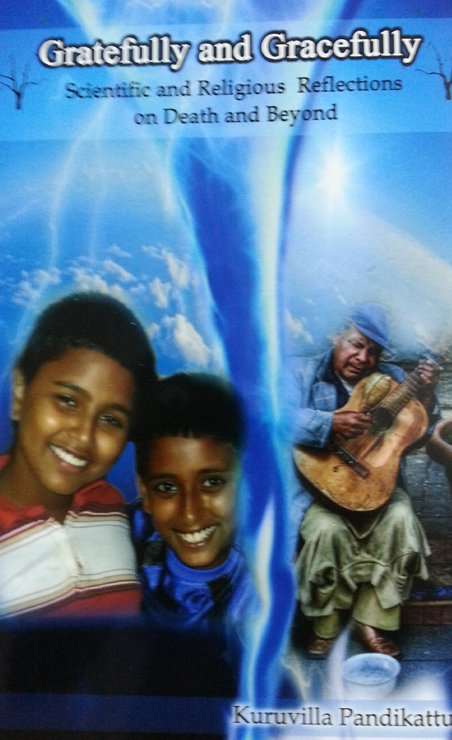 This is my modest gift for all with a wish for a life time of joy and fulfillment. A contemporary cynical narration of the life of a multinational employee through the eyes of a modern Swami who unravels the secrets of happy living within 24 hours to revive the battered spirit of the Joboholic. Joboholic works with a multinational corporation as an editor. He quits his journalist job, thinking that being a corporate executive would be cozier and stress-less. But soon he realizes that his life is becoming more stressful than it used to be. He reaches a stage where he does not even have the energy and awareness to realize that his life is no more in his control. Because, he has fallen prey to the magical spell of the multinational corporate giant ghost who made him a Joboholic. 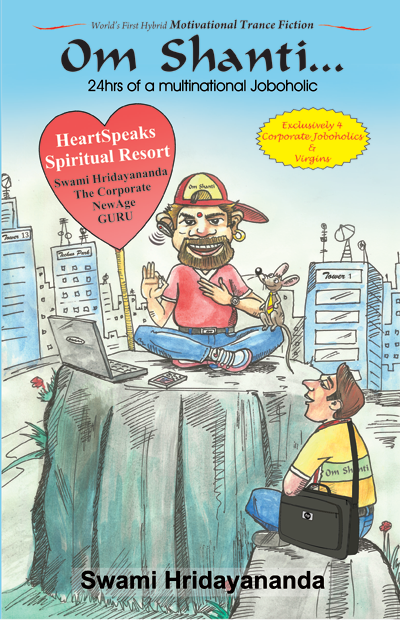 Meanwhile, he comes in contact with Swami Hridayananda who imparts the secrets to "Corporate Rat-hood" which would liberate him from the invisible chains of multinational corporate giant ghost. As you read this trance fiction you will identify with most of the contemporary issues that you see around from a microscopic view. With his satirical humor the Swami exposes and attacks lots of current issues that bug the society due to corruption & exploitation by politicians and so called godmen, and even your own personal negligence. As every page pricks you with hard nails, it also will tickles your senses with laughter as it motivates you to be more aware of your life and to make it happy and interesting -- finding the simple truth of life. As you are touched by the melody of the Universal Heart, your HeartBeats become the reflections of the divine. As you are filled with the divine you start asking questions about yourself and your life which in turn motivate you to become happy here and now on earth in this life itself. 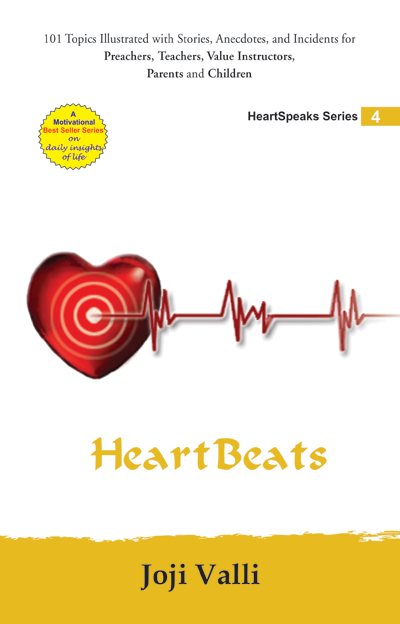 Unlike other three books of the HeartSpeaks series, HeartBeats is an introspection of your life. Heart is the center of everything and source of all goodness. 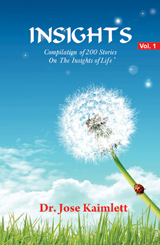 101 carefully selected topics illustrate the multi-faceted human life in a day to day basis. Each of these topics conveys the awareness which is forgotten in the routine of a busy life. HeartBeats imparts the wisdom of the ages from various religious traditions and backgrounds, and is the fourth in the series of books on Personal Power, Spiritual Awareness and Human Values. HeartBeats is an ideal present for a person of any age, who searches happiness and contentment amidst the modernization and development. Dreaming is easy. But what about dreaming big? Many of us have an unknown fear of dreaming big, of self-doubt, lack of confidence etc... This unknown fear disappears when a person undertand the basic truth of the Universe and acknowledges that he is not an isolated individual. Instead, there is always a companion ever ready to lead him to his goals. 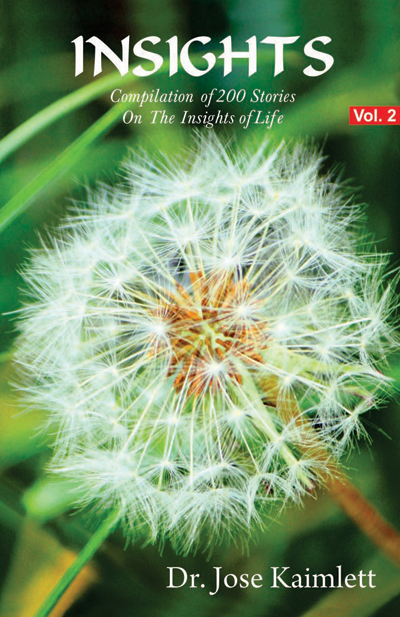 This book outlines the significance of ultimate bliss, about which generally people are not aware of, or are ignorant. 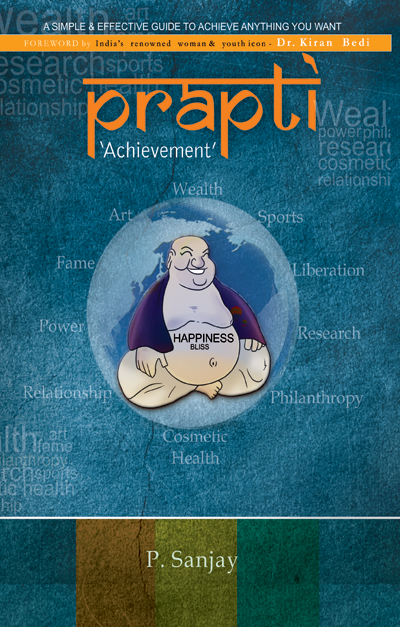 As you turn the pages of 'Prapti', a simple and effective gude to reaching whatever you want - you will prepare yourself to get the amazing results. Dream big - achieve the unachievable. Every moment you are awakened to plenty of insights. Are you ready to grab those insights? If you are able to harness those it is yours. Let me assure you the content of this books would take you to a deeper leve of understanding of life as you read and meditate. let the insights reverberate in each cell of your body and your being. May you be filled with facinating insights and inspiring people around to lead a happy and peaceful life. Life is a choiceless choice. Each of us came into this world with nothing but an empty canvas -'tabula rasa' - an empty mind. If you have an empty canvas you must have a reason why you have it so. YES. you are an aRTIST... you are a pAINTER... You are given brush and colors. 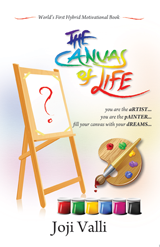 It is upto you to use as many colors as possible to make the canvas colorful and presentable. - Success has too many fathers and failure has none.- Every nook and corner of the world irrespective of age, caste, color, creed - people admire the picture Mona Lisa. Why? Because it is beautiful and a successful. People around us are only interested in a successful canvas. If your canvas is not presentable to the world nobody cares about it. Now think about your life! If the world is not interested in your canvas - it is not presentable to the world. If it is not presentable, don't blame your parents; don't blame your family; don't blame the society; don't blame the people around you. Point not just one finger but all the fingers at YOU. Remember, You are an aRTIST... You are a pAINTER... That is the simple reason you have come to this world with an empty canvas. It is your canvas. It is your life. Plunder the hidden treasures! Bring out your Masterpiece! Be successful and quit the world. Leave the masterpiece as a legacy for the generations to come! Life is a choiceless choice, right now you have a choice to make it a failure or success. Choice is YOURS. 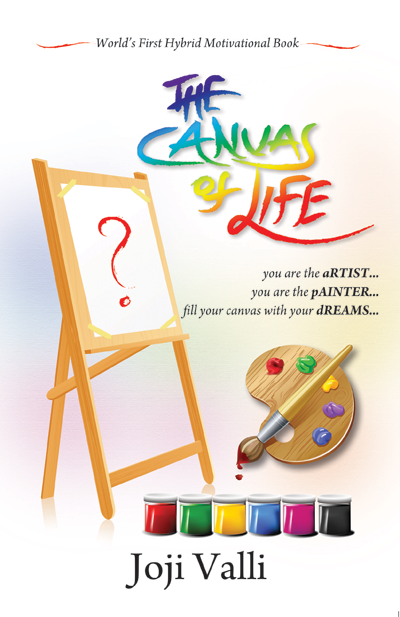 This book will certainly facilitate you to paint your canvas beautiful, successful and presentable - making it a masterpiece for you and the generations to come. All of us love to have a Heart 2 Heart chat during the times of troubles and difficulties in our daily life. We may even aspire to have a consoling touch, a soothing word from someone who is intimate to us. Heart 2 Heart presents you a buffet of solutions which will console you and heal you from your inner being. Which removes all blockages of the heart and stabilises the flow of goodness and happiness at each and every moment of your life. 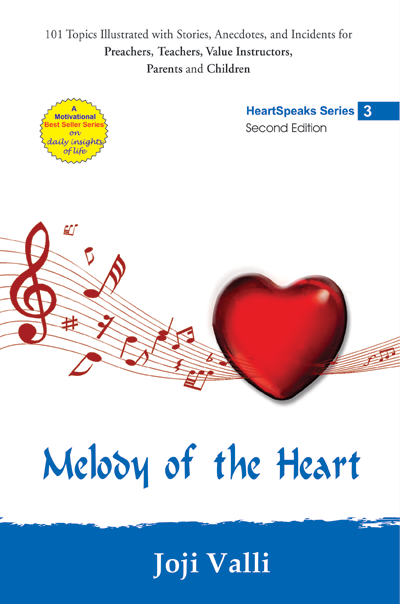 Heart 2 Heart attempts to connect the reader with thought provoking insights to the Universal Heart/God the ultimate source of all solutions. And the moment we get connected to the Universal Heart/God we experience melody and tranquility in life whereby we attain inner peace, happiness and tension free life. 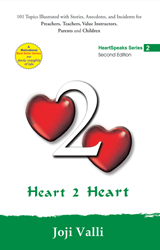 Heart 2 Heart is an ideal present for a person of any age, who searches happiness and contentment amidst the modernization and development. Heart is the centre of everything and source of all goodness. 101 carefully selected topics illustrate the multi-faceted human life in a day to day basis. Each of these topics conveys the awareness which is forgotten in the routine of a busy life. Heart 2 Heart imparts the wisdom of the ages from various religious traditions and backgrounds, and is the second of a series of books on Personal Power, Spiritual Awareness and Human Values. Heart is the centre of everything and source of all goodness. 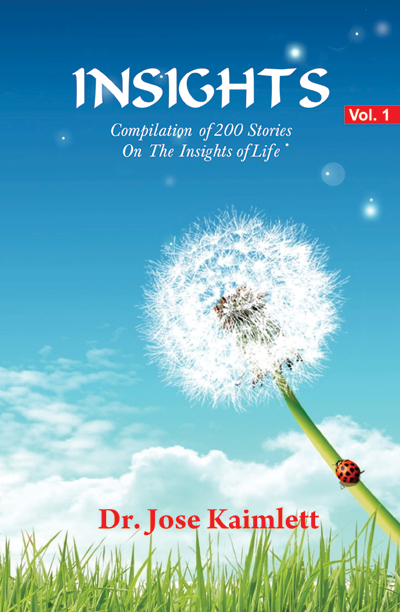 101 carefully selected topics illustrated by relevant stories, anecdotes and incidents on various dimensions of daily life followed by a few points of thought-provoking reflections illuminate the multi-faceted human life in a day to day basis. Each of these topics conveys the awareness which is forgotten in the business of a routine life. Hearts On Fire imparts the wisdom of the ages from various religious traditions and backgrounds, and is the first of a series of books on personal power, spiritual awareness and human values. 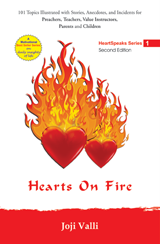 Hearts On Fire provides answers for the why's and how's of daily problems that occur in routine life. 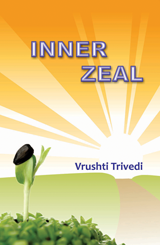 The author tries to brush up the hidden treasures in each individual, empowering personal powers. Sometimes we are ignorant of the powers or treasures within us, and look for solace and happiness outside of ourselves. Hearts On Fire encapsulates the personal powers each of us has within and empowers it with awareness for happiness and contentment. Besides providing wholesome reading pleasure, Hearts On Fire awakens individual's awareness and thereby leads to a happy and tension free life. The moment awareness occurs in life - thereon life becomes beautiful, beauty surrounds, optimism prevails, miracles occur and we begin to experience the grandeur of God/Existence. Hearts on Fire is an ideal present for a person of any age, who searches happiness and contentment amidst the modernization and development. This is a poetic critique of our modern culture. Based on the well-acclaimed novel of Michael Ende (Momo), this books takes up the issue of spontaneity, creativity and joy that we have lost in our process of development. Through the methods of stories it urges us to life lives that are authentic and creative, not by going back to the pristine past, but by realizing the Buddhist insight that everything is transient ("This too will pass away"). In this transient world, we are called to celebrate our playfulness and live our NOW, which is true bliss.